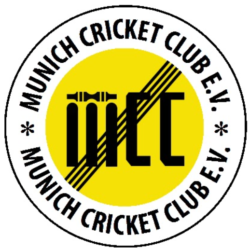 The final division I match of the season and MCC travelled to Nuremberg to salvage what was left of a fairly ordinary season. Everyone met at the Hischanger apart from Barrett who didn`t want to travel with the rabble and we attempted to store the away kit in the kit box ready for the game next weekend against Serendib. This rather upset a security guard who seemed to take a particular objection to me and refused categorically to let us into the ground because it was “unsafe”. Somehow Toke wheedled his way around him and was allowed to deposit the away kit in its proper place. Everyone arrived in good time at the Nuremberg ground to be greeted by Barrett on a sweltering hot day but we were able to sit under the shade of an oak tree and watch captain Ayub lose the toss and be asked to field. Imtiaz and Maiwand Khan opened the attack and bowled very well with no wides for the first 14 balls and their first wicket falling on the 12th ball, caught Konchada, bowled Maiwand. In his third over Imtiaz got a wicket, a superb reflex catch in the gully by Bhat leaving them 12 for two. A 44 run partnership for the third was ended by Maroofkhel with a good keeper`s catch by Otmankhil followed by a lengthy celebration run. The next wicket on 63 was a caught and bowled by Ayub, a great one for the stats and two runs later Toke got an LBW. There were no more significant partnerships and interestingly, all the wickets were either caught (8) or LBW (2). Nuremberg were all out for 109 in the 29th over. Some healthy teas were provided by someone but it was difficult to break in to the Asian ring and get anything as evidenced in the photograph. With 110 runs needed from 40 overs it looked to be a fairly easy task but then MCC knows how to make a mountain from a molehill. Khan Mahmud and Qureshi opened the batting for MCC, the first over was a maiden, the second yielded a wide and a leg bye. The third brought Qureshi bowled for 0, Bhat LBW for 0 and so, after three overs, MCC were 1 for 2 down. Khan Mahmud took a single in the next to double our score but was bowled by the first ball in the next over. Ayub took a single to allow Konchada to join the duck race leaving us 4 for 4 down after 5 overs. Barrett and Ayub played very carefully putting on 22 for the fifth before Barrett left for another attempt to break into the food ring having scored 2 runs off 16 balls and, amazingly, was caught on the boundary. He was replaced by Toke who batted through to the 25th over, Ayub scoring the winning runs from a mighty six. 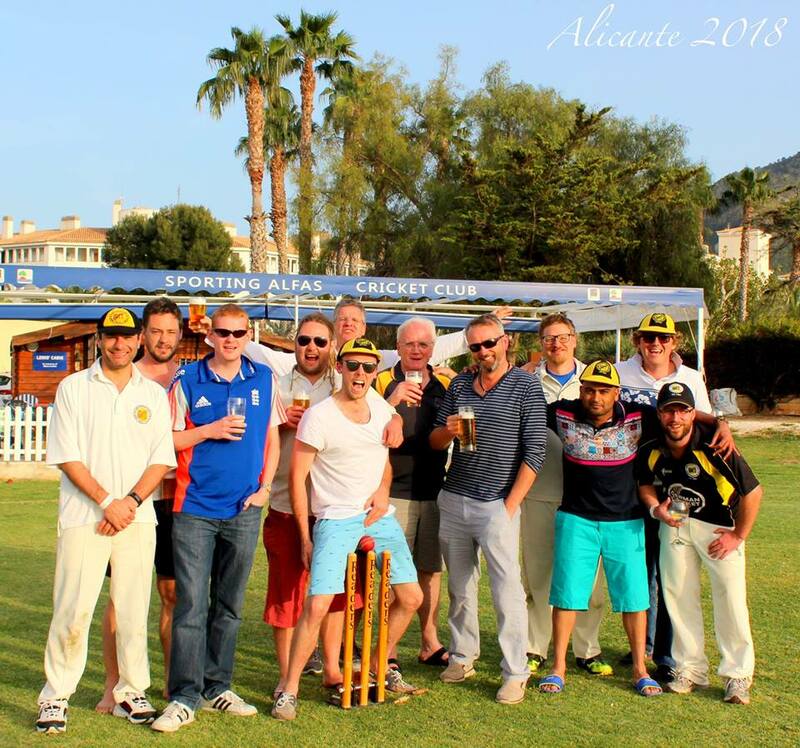 So MCC celebrated their last game in division I with a victory showing what could have been, if only…..
Just as the kit was packed away it began to rain and an unbelievably violent Gewitter hampered the return trip to the Hirschanger. The same security guard would not let us in to get some kit for the tour to Manchester and, as Toke was in a restaurant somewhere in Nuremberg, we had no-one to grovel our way in.